James J. Brosnahan is named among the top 30 trial lawyers in the United States, according to the Legal 500 US. A lion of the trial bar, James J. Brosnahan is one of the most respected and recognized trial lawyers in the United States. 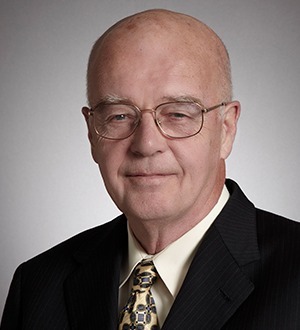 Mr. Brosnahan has more than 50 years of experience in both civil and criminal trial work. He regularly undertakes complex cases that are about to go to trial. He has tried, to conclusion, 150 cases. The cases have ranged from anti-trust to wire fraud and from patent litigation to white collar crime and murder. Mr. Brosnahan has received numerous awards and recognition throughout his distinguished career. In 1996, he was inducted into the State Bar of California's "Trial Lawyers Hall of Fame" and was awarded the Samuel E. Gates Award by the American College of Trial Lawyers in 2000 for his "significant, exceptional lasting contribution to the improvement of the litigation process." In 2001, Mr. Brosnahan was named "Trial Lawyer of the Year" by the American Board of Trial Advocates, and the following year, the San Francisco Lawyers' Club honored Mr. Brosnahan with its "Legend of the Law" award. In 2006, he was named one of America's most influential trial lawyers by the National Law Journal. In 2007, he received the American Inns of Court Lewis F. Powell Award for Professionalism and Ethics to recognize a "lifetime devoted to the highest standards of ethical practice, competence, and professionalism." In 2011, he received the Judge Learned Hand Award from the American Jewish Committee. He was recently recognized as a 2012 Lifetime Achiever by The American Lawyer which recognizes outstanding professional success and a devotion to public service. He was also a National Institute of Trial Advocacy (NITA) Teacher of the Year. Mr. Brosnahan has been recommended as a leading lawyer by Chambers USAevery year since its launch. He is also ranked by PLC Which Lawyer?, The Best Lawyers in America (for the past 29 years), The Legal 500 US 2013, Benchmark Litigation, The Lawdragon Top 3000, The Best of the Best USA Litigation 2013, Euromoney’s Expert Guides, and the top ten in Northern California Super Lawyers since its launch in 2004. Mr. Brosnahan is active in professional activities and is a past president of the Bar Association of San Francisco, whose Volunteer Lawyers Service Program he founded. He was also a National Institute of Trial Advocacy (NITA) Teacher of the Year. Mr. Brosnahan has served as special counsel to the California Legislature's Joint Subcommittee on Crude Oil Pricing, the lawyer representative to the Ninth Circuit Judicial Conference and Chairman of the Delegation. Mr. Brosnahan also serves as Master Advocate on the faculty and member of the Board of Trustees of the National Institute for Trial Advocacy. Mr. Brosnahan authored the "Trial Handbook for California Lawyers."